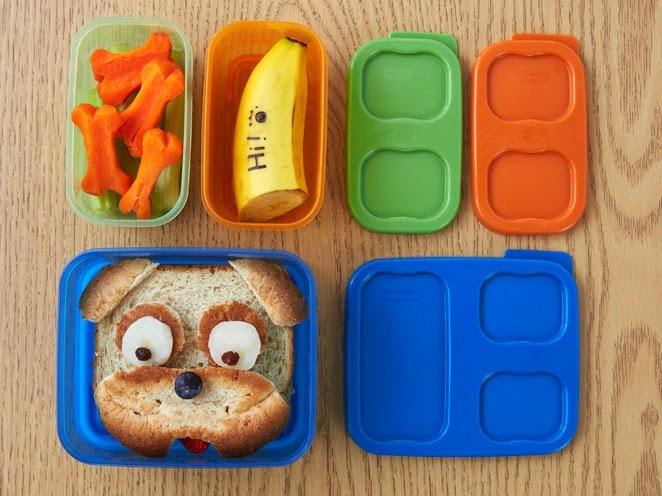 Rubbermaid LunchBlox Sandwich Kits Are Kid-Friendly For School Lunches! With 5 Kids, We Make 25 School Lunches Weekly! In my household, we make 25 kids' school lunches each week, which I'll readily admit is a lot of lunches! Each day we're kitchen wizards tasked with the difficult chore of guessing the food whims of our children, putting the right lunch in the correct backpack, and getting this all done before 8:00am. Then it's off to work for dad and I! PHEW! Unfortunately in this mad dash, we don't have time to create Pinterest-worthy lunches like the one shown above. Our kids' school insists upon "litterless" lunches, an initiative that we support. What litterless means, is that no materials in the lunch bag should be thrown away, like plastic wrap or sandwich bags. As a result, we pack lunches using reusable plastic containers. Unfortunately, we have a sad little cupboard of mismatched plastic containers and lids. Many of the lids don't seem to fit any of the containers, and other lids are either cracked, warped, or missing. The matter is exacerbated because my boys enjoy using the lids as frisbees, and they often make their way down to the basement playroom. I recently was given the opportunity to try a Rubbermaid LunchBlox Sandwich Kit modular container. 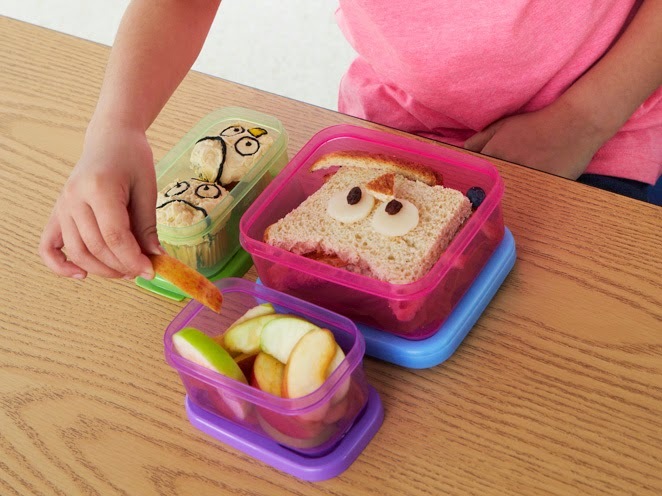 The unit snaps together to stay organized in the lunch bag, and the sandwich and 2 snack containers connect to the Blue Ice tray to keep lunches cold (helpful in the warmer months). The LunchBlox containers were simple to use from a lunch-packing (and cleaning) perspective, and they were well-received by my daughter! Learn more information about LunchBlox! 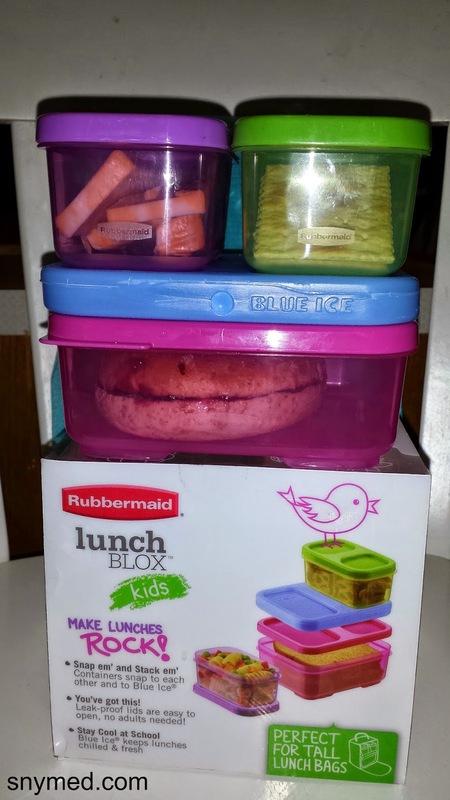 What do you think of these Rubbermaid LunchBlox Sandwich Kits for kids? 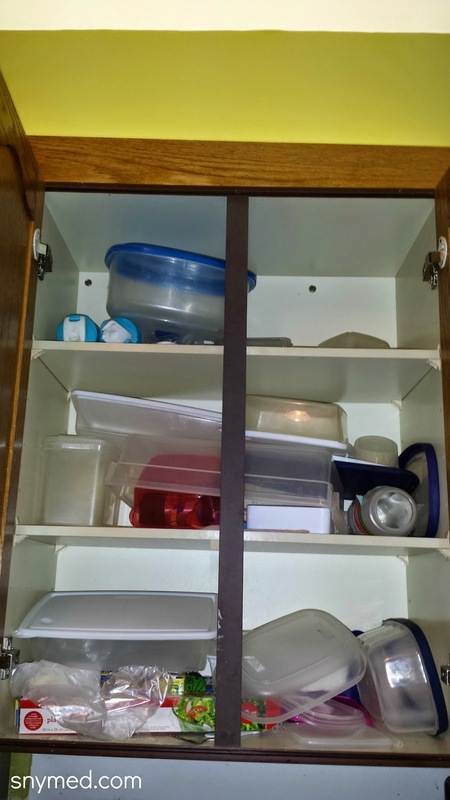 Do you regularly use Rubbermaid products in your day-to-day life? 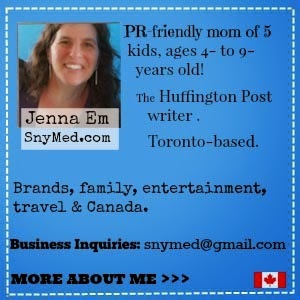 Disclosure: I am part of the Rubbermaid Blogger Campaign with Mom Central Canada and I receive special perks as part of my affiliation with this group. The opinions on this blog are my own. I sometimes wish that my kids ate lunch at their school but because we live in a small town, they come home during lunch hour. These would be really handy! I know we are always losing lids and such for our reusable containers. I like the colours available for these Rubbermaid kits. These are so cute & colourful! We use glass rubbermaid containers (with rubbery lids) for storing leftovers & I love them! I like how colorful they are. I really am happy that this gives you the opportunity to make your children healthy lunches. I used to use Rubbermaid but one by one they would be "borrowed"
I shall visit the kiosk soon.